Again this year club members Charles and Gail Ebbett were the big winners at the recently held Fredericton Ex Weigh Off. 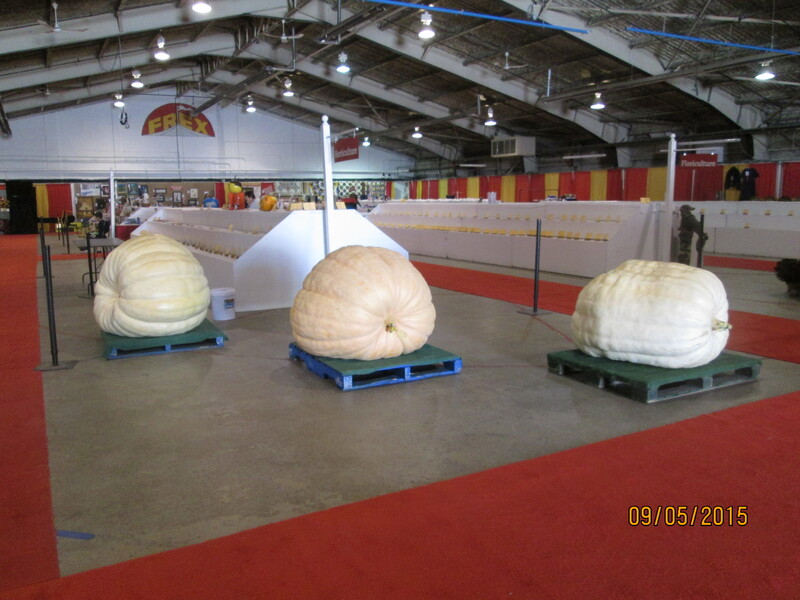 Pictured below on the left is the winner, 1st Place,weighing in at 877 pounds and grown from Charles’s own 985 seed- 2nd place the fruit in the center is 721 pounds grown again from Charles’s 985 seed . 3rd place on the right is the 658 Tingley . 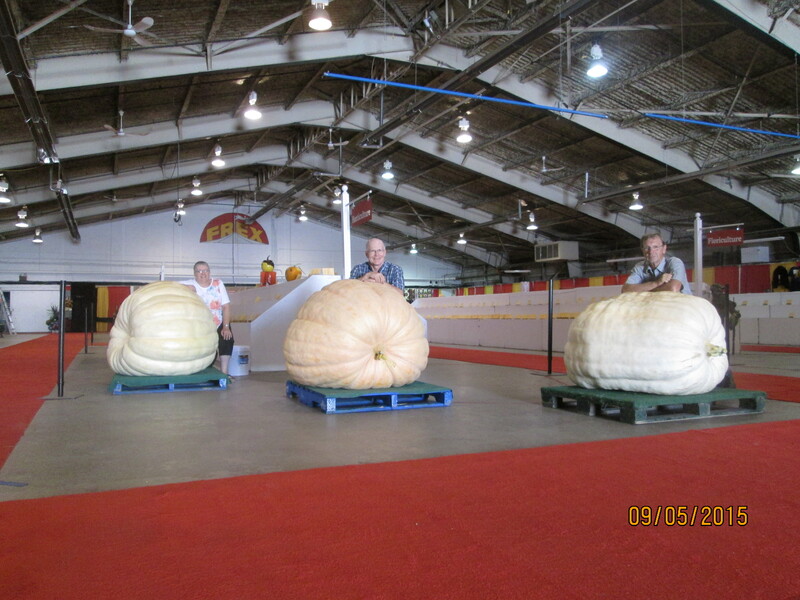 Congratulations to Charles, Gail, and Daryl for this great showing at the Ex. Three fine Atlantic Giants from some long time dedicated growers !